mthsadmine hasn't arrived yet how do i know if it's cancelled? timesthelegallimitStill waiting on mine, hmm. edit: heard a rumor they are cancelling orders. in your custom cfg folder, see if you have config.cfg, if you do delete it. 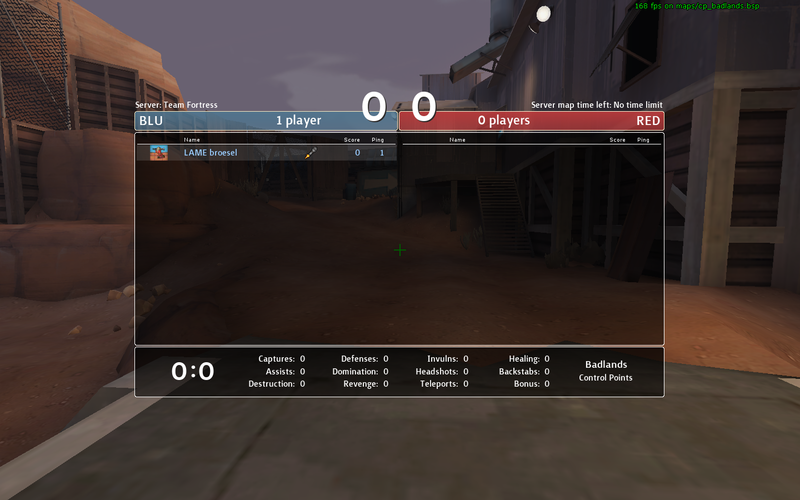 crespi broeselWhat probably no one has noticed so far (even though 2 screenshots already show this :D) is an exploit that will be included in version 2.6 and which will pave the way for a whole new generation of TF2 HUDs. Consider it a last gift to the TF2 community. WHAT. This is going to drive me crazy, can anyone shed some light on what he's talking about? try opening up hudlayout.res ctrl+f for "HudAlert" and change "visible" to "0"